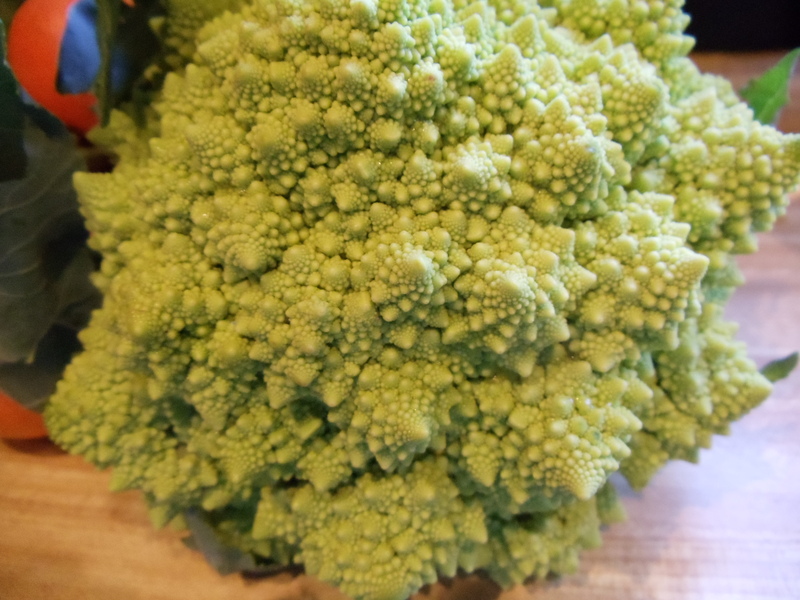 I’m giddy when Romanesco cauliflower, or broccoli, comes in the farm box. It’s just so stunning with its bewitching pattern of lime-green florets, and a change of pace from ordinary cauliflower, with its sweet, nutty flavor. It is delicious raw, but I love it roasted. 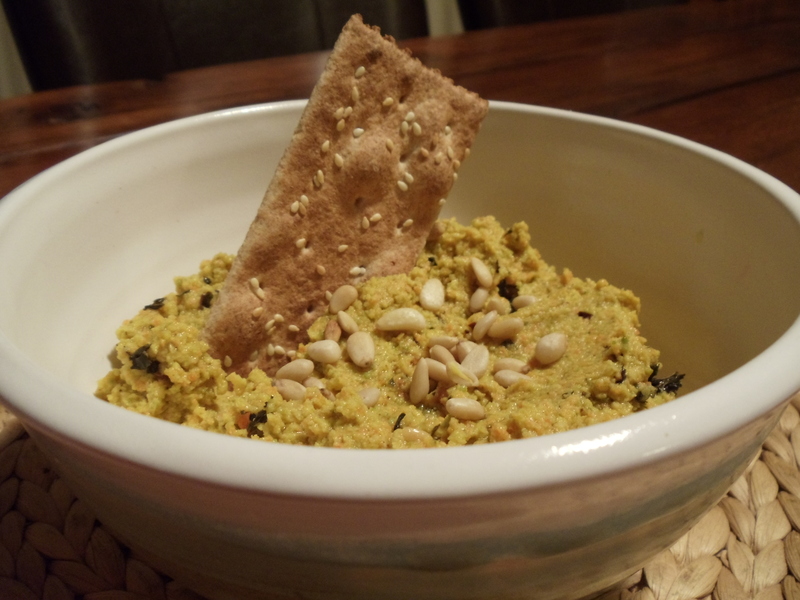 This is a dip that I like to eat with Akmak crackers or warm pita bread. Heat oven to 375 degrees. 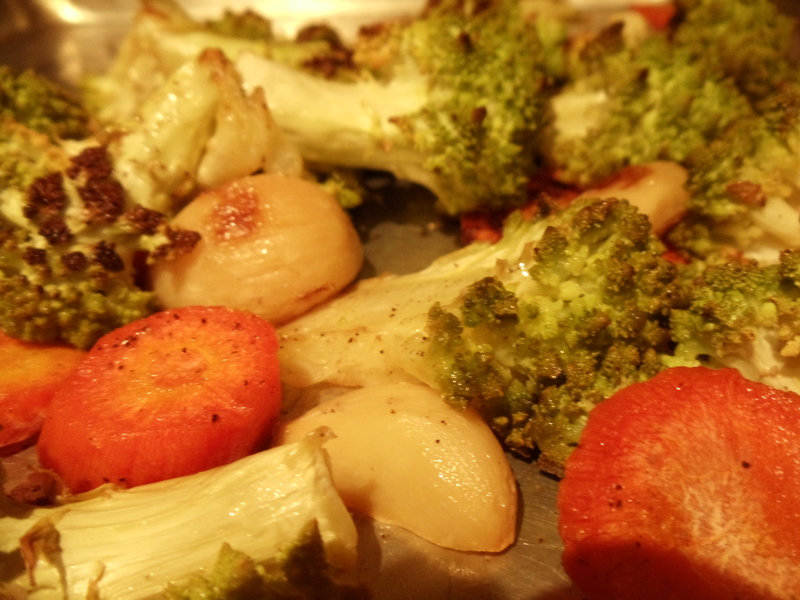 Place the Romanesco cauliflower, carrots and garlic on a baking sheet, and coat with 2 tablespoons of the olive oil. Season with oregano, chile flakes, salt and pepper, and roast in oven until vegetables become very soft and browned around the edges, about 20 minutes. Remove from oven and cool slightly. Place vegetables and remaining olive oil in a food processor and process until smooth, about 3 minutes. Add feta cheese and pine nuts and process until combined. Taste for seasoning and adjust with salt and pepper, if needed. Remove from food processor and top with pine nuts. Serve with crackers, bread or vegetables to dip. Can be stored in refrigerator for a week.